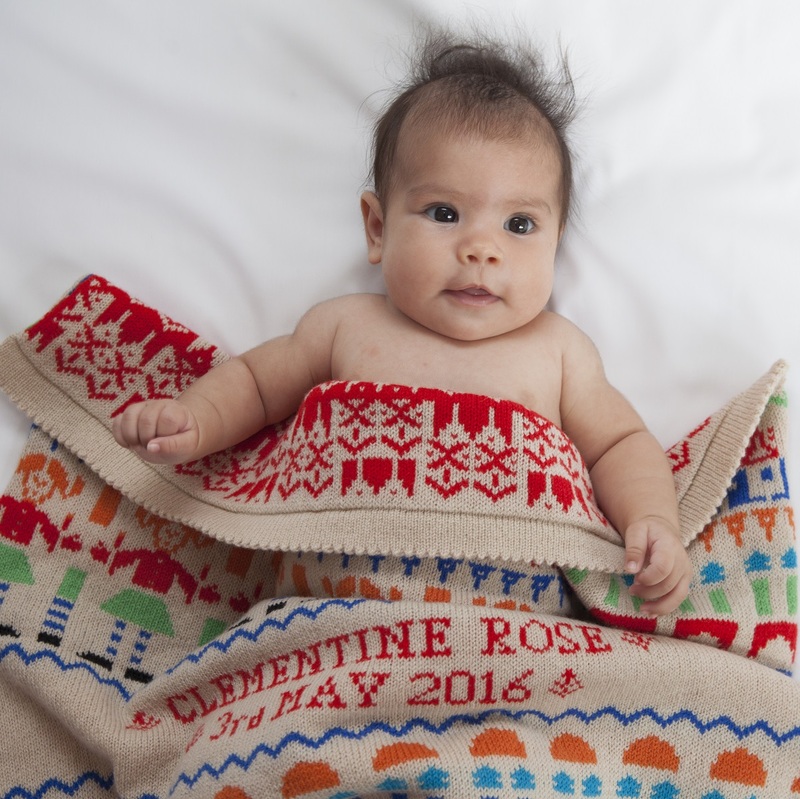 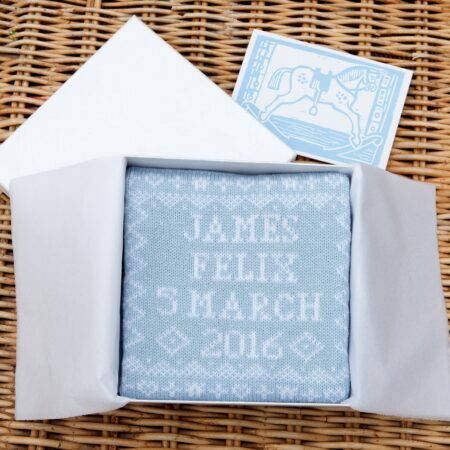 This personalised cashmere baby comforter makes a unique gift for a new baby. 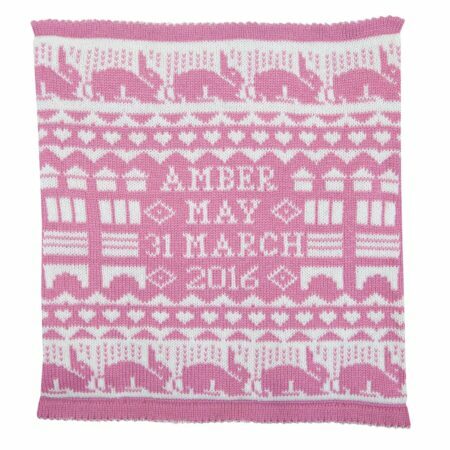 The baby comforter is made to order and personalised with your choice of names (a maximum of two names) and date of birth. 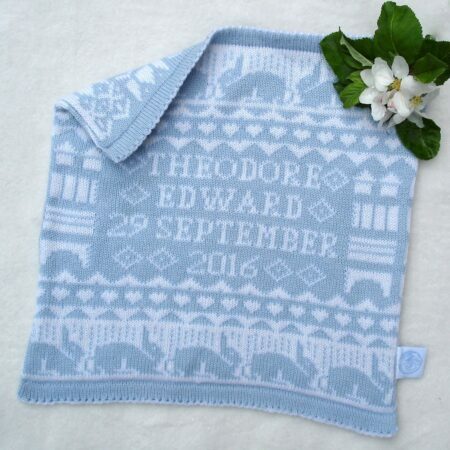 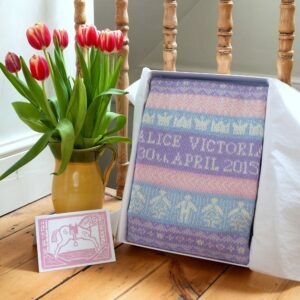 Ideal as a new baby gift, Christening gift or naming day present. 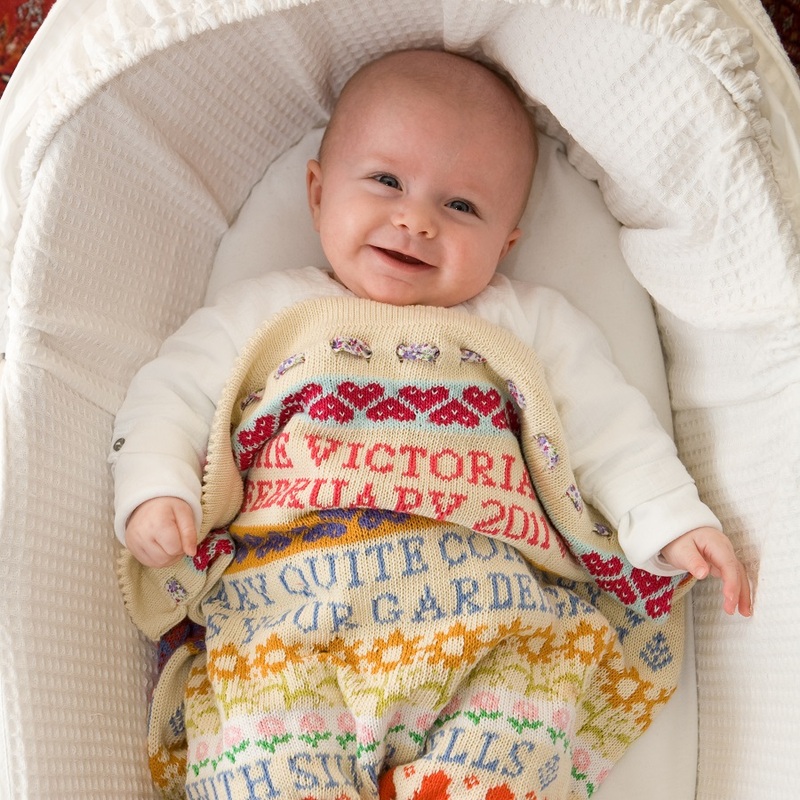 Soft and tactile, this special comforter is sure to become a treasured keepsake. 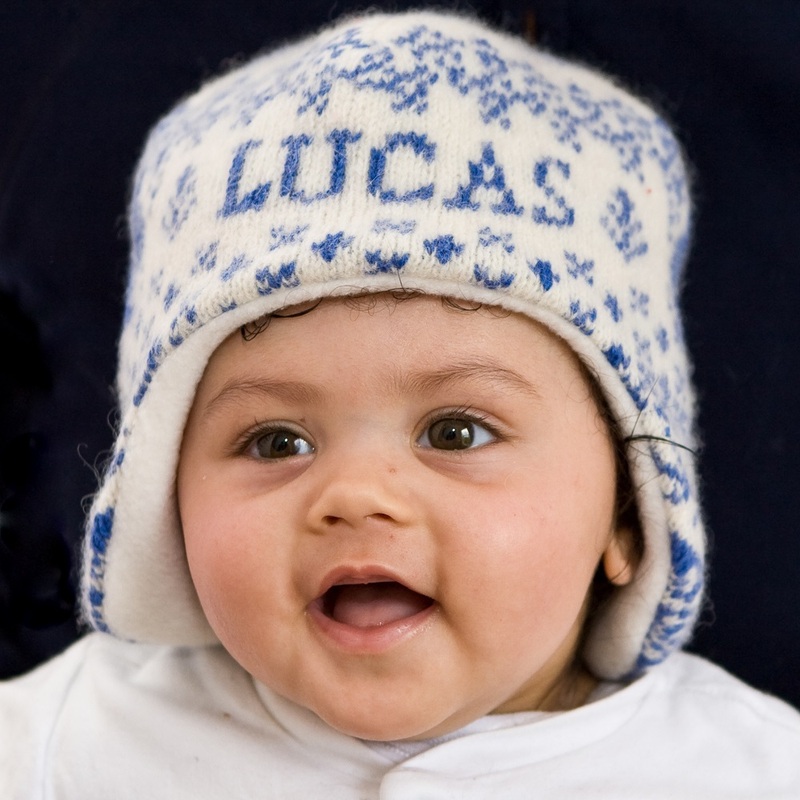 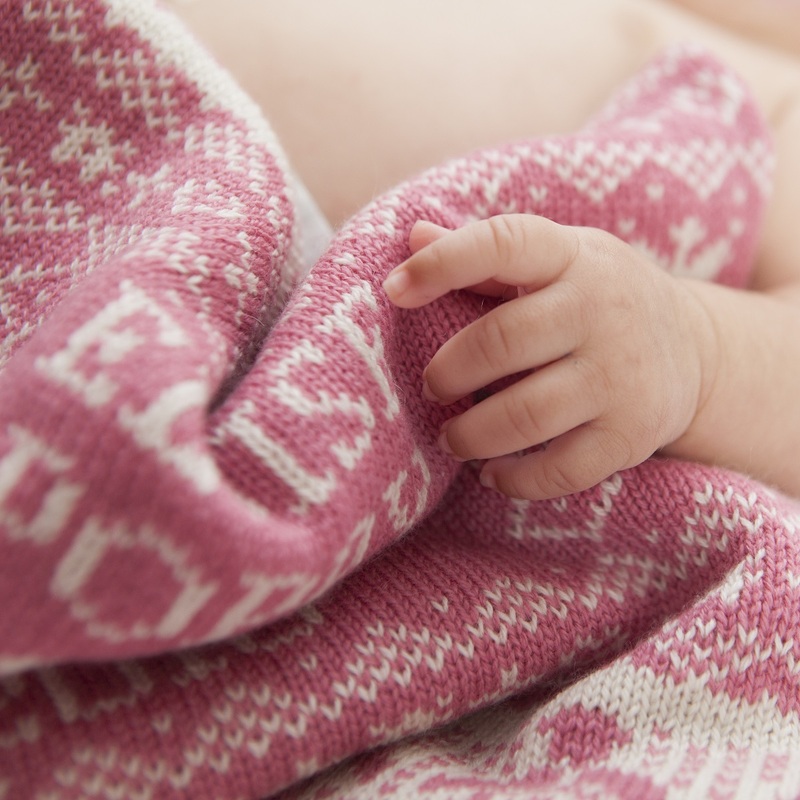 Knitted in luxurious cashmere, this personalised baby comforter is available in powder blue/white or dusky pink/white. 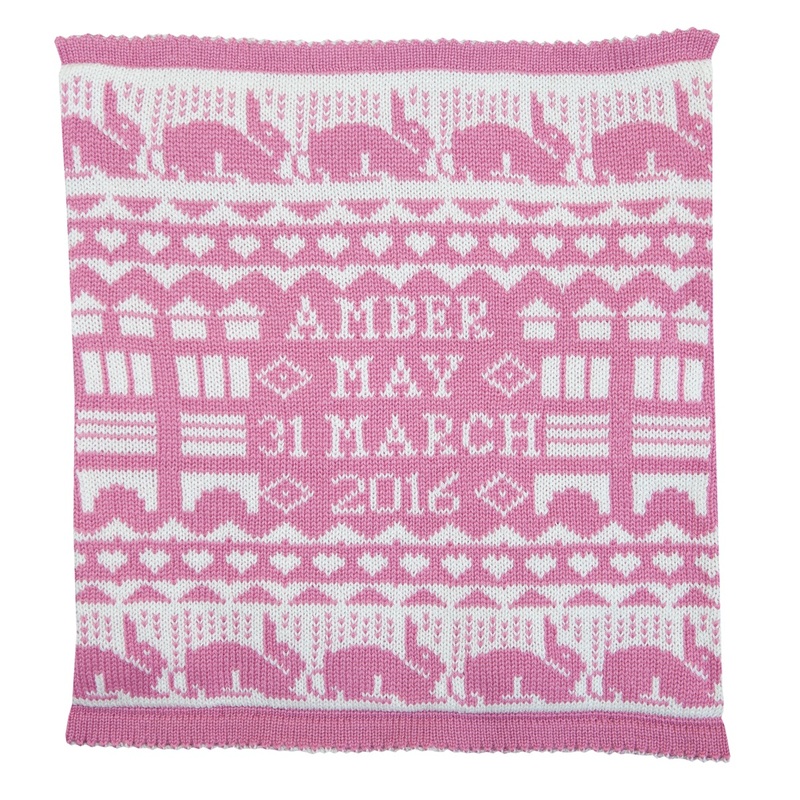 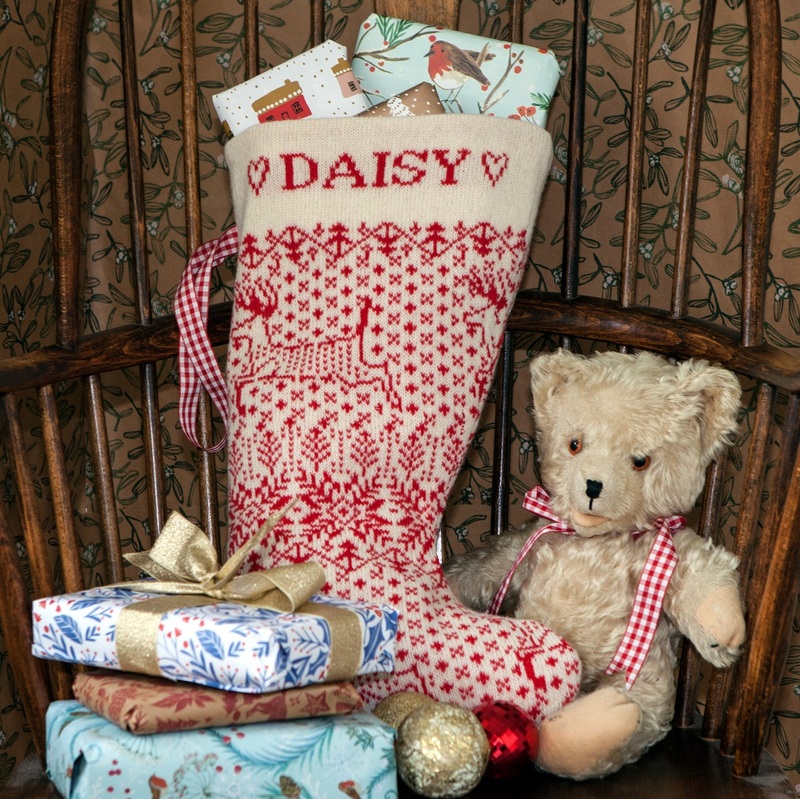 The design is knitted in a fair isle pattern, featuring rabbits and building blocks on the front and a geometric pattern on the reverse. 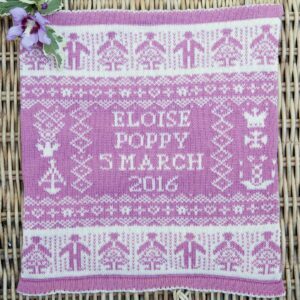 Measures approximately 32cm x 34cm. Your baby comforter will arrive gift wrapped in a box, and we can include a gift message in a card if required.